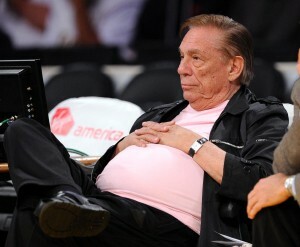 By now it is old news that Los Angeles Clippers owner, Donald Sterling, wishes the Confederacy had won the Civil War. Thanks to a recording by Sterling’s girlfriend, V. Stiviano, first obtained by TMZ, and now rebroadcast around the world, Sterling (or someone with an identical voice) can be heard spouting off racist diatribes about how he wishes his girlfriend would refrain from associating with African-Americans in public. The hateful and bigoted comments are nothing new for the man dubbed the “Slumlord Billionaire,” who has had to settle past housing discrimination lawsuits from tenants of his properties. Yet while Sterling is rightfully receiving the nation’s scorn and anger, the legality of the infamous recording has seemingly been overlooked. However, there is little doubt that Stiviano’s recording is illegal under California law. As the NBA continues to investigate the authenticity of the recording and the circumstances under which it was made, one important fact will be where the conversation took place. If the conversation and the recording occurred in California, then Stiviano broke the law, no matter her justification for doing so. 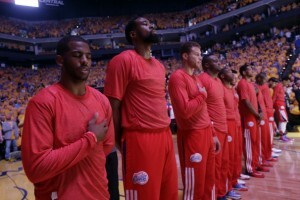 Clippers players turned their warm-up jerseys inside out to protest their owners' racist remarks. 1. It needs to be intentional — not accidental. 2. The recording needs to take place without the permission of one of the parties to the overheard conversation. If one party consents and the other doesn’t, it is still eavesdropping. 3. The conversation needs to be confidential. This means that it needs to take place in circumstances that reasonably indicate that at least one party to the conversation intends for no one else to overhear it. 4. Most importantly, eavesdropping needs to involve the use of an electronic amplifying or recording device, either to overhear the conversation in the first place or to record it. Section 631 makes such unlawful eavesdropping punishable as a misdemeanor by a fine not exceeding $2,500, or by imprisonment in the county jail not exceeding one year. However, a prosecutor has the discretion to charge eavesdropping as a felony, which is punishable by up to three years in state prison, a $2,500 fine, or both. Additionally, under Penal Code sections 632.5 and 632.6, the same penalties apply if someone intercepts a call between two phones with criminal intent and without the consent of both parties to the call. At this point, not enough facts are known about where the racist conversation took place or how it was recorded. However, if Stiviano recorded Sterling without his consent, and in a place where he had a reasonable expectation of privacy, then she could face criminal charges. Additionally, Sterling could file a civil suit against Viviano, but it would appear that any of her assets likely came from Sterling. So he would just be suing to recoup his own money. Viviano has a laundry list of reasons, most of them admirable, for releasing this recording. However, she still might want to save some money for a criminal defense lawyer. Illinois had the same kind of law (both parties need to consent) but it was thrown out by the Seventh Circuit (Federal) Court of Appeals in a case involving recording cops. This is article below discusses the cases user DB alluded to above.